Used as cmos backup in many computers & alarm systems. 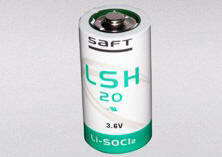 Fast 30 minute Li-ion digital camera battery charger. Patented contact design allows contacts to move where you need them and make connection with all style batteries. Charges Li-Ion, Nickel-Metal Hydride, Nickel Cadmium, AA and AAA cells. International compatible AC and DC adapters allow you to use the charger at home, overseas or in the car. Rechargeable CRP2 Li-ion battery & charger. 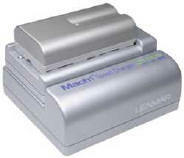 (includes rechargeable DL-2CR5 600mAh battery) Rechargeable CR5 Li-ion battery & charger.